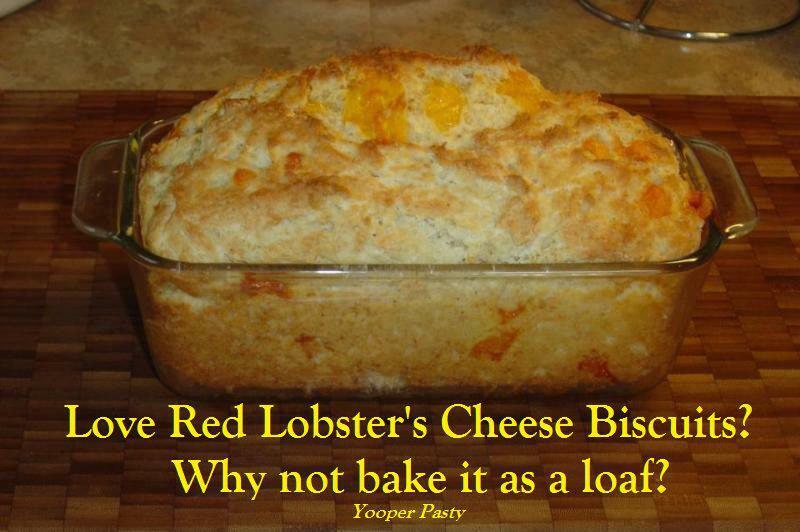 This is Red Lobster's Cheese Biscuit recipe done in a loaf pan. Heat oven to 350 degrees. Grease a 9×5 loaf pan with oil. In a bowl, whisk together the first 5 ingredients. Carefully stir in cheese cubes until covered in flour mixture, this will help prevent your cheese sinking to the bottom of your loaf of bread. In a different bowl, whisk together the remaining ingredients. Fold the wet mixture into the flour and cheese mixture, stir until just combined, do not over stir. Spread the mixture into the loaf pan. Bake for 45-50 minutes. Let cool 10 minutes and then remove from pan. Allow to cool for one hour before slicing and serving.